Tomura's Right-hand. 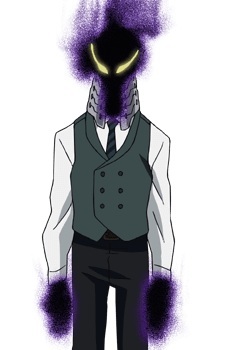 A shadow-like entity that wears a elegant outfit with metal plates around his collar bone. Despite his gentlemanly manners, he is also sinister. His quirk is "Warp", teleporting others as well as himself to different locations.